When I lived in Greece there were some things I never thought of making myself. To be honest, I didn’t do a lot of cooking back then, being a student and all, and having my mum to cook yummy food for me! And it never crossed my mind to make some souvlaki with pita, given how many places there are around that make it so well! But in England, most Greek food places (fancy or not) try to prove every bad stereotype about Greek food true. It was Tsiknopempti a couple of weeks ago (I am slow at posting recipes!) and I was also feeling quite homesick so I decided to put some Greek music on and make something traditional. 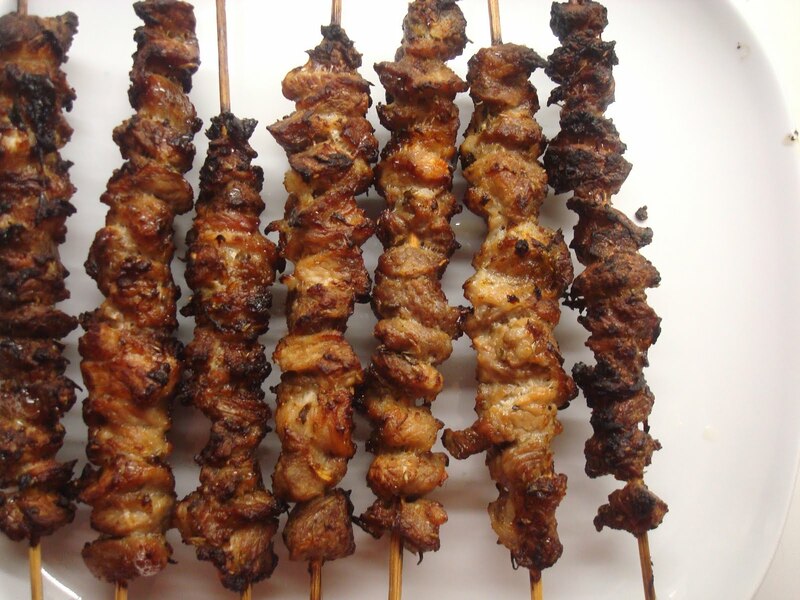 Tsiknopempti is what in other countries is called Fat Thursday and because it is 10 days before Lent starts people eat a lot of meat, traditionally barbecued. The name comes from the word tsikna which is the smell that meat has when grilled or barbecued. First of all, cut the meat into squares (sides approximately 2cm), keeping some of the fat on it. 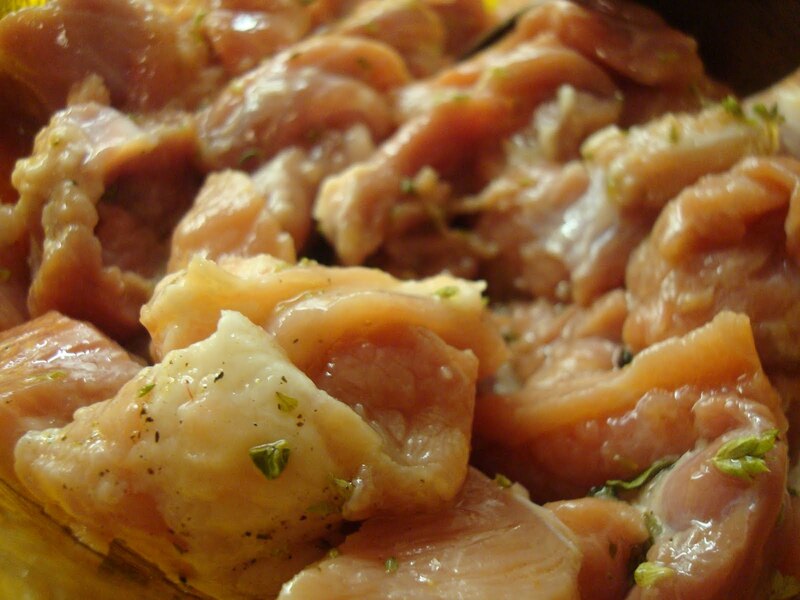 To make the marinade, grate the onion on the thick side of the grater and mix it with the meat, the juice of a lemon, olive oil, oregano and the seasoning. Cover with cling film and leave in the fridge, ideally overnight, but if you’re feeling impatient, for as long as you can wait. 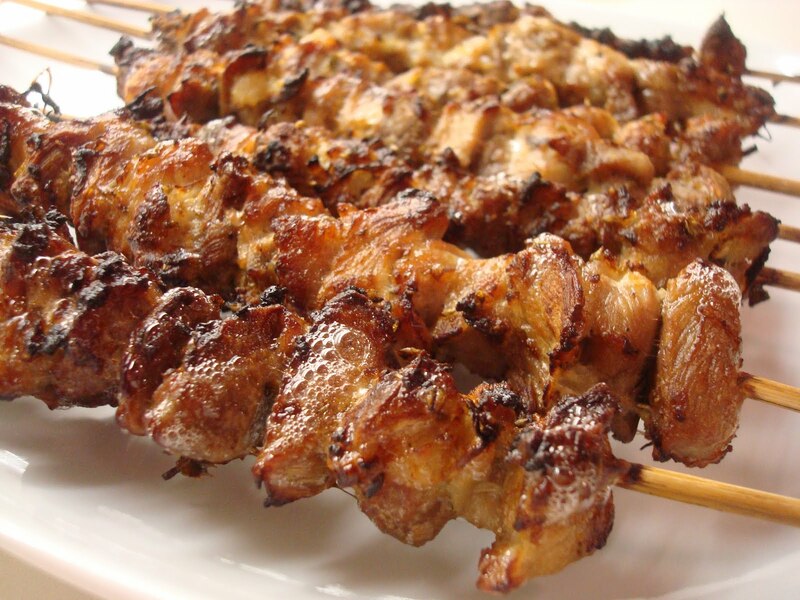 When you are ready to cook it, put pieces on the skewers and cook them under a medium grill, turning the skewers round half way. You want them to be crispy on the outside but make sure you don’t overcook them. 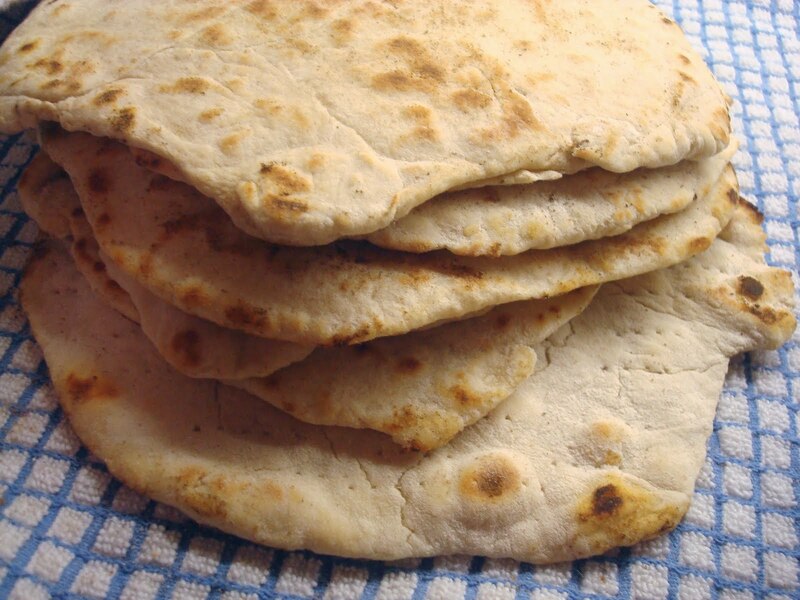 Serve with some more lemon on the side and this easy and tasty pita bread. I am never buying pita from the supermarket again. Mix the water, olive oil, yeast, salt and sugar and leave for a few minutes. Add the flour slowly and mix with a wooden spoon until it becomes a dough. When it is too difficult to do it with the spoon, start mixing with your hands. When the flour has been incorporated, knead until the dough looks smooth. Cover with a kitchen towel and leave for half an hour. Pull pieces off the dough, the size of an orange (although it depends on how big you like your pita!) and roll them out into 1/4 inch thick round sheets. 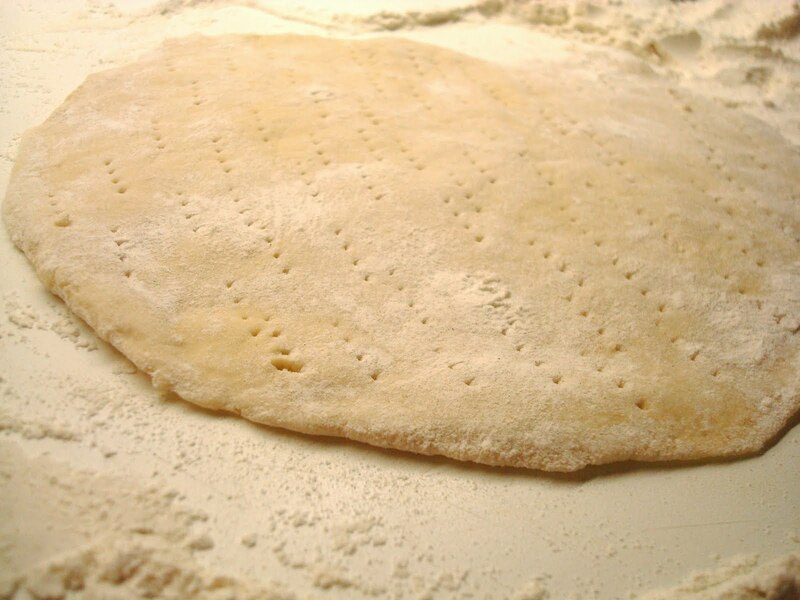 Use a fork to poke holes into the dough, without going all the way through it. Heat your pan and spread a little oil on it. Place your flat dough on the pan and cook on each side for about 2 minutes, or until golden. When each pita is cooked, put it inside a towel to make sure it doesn’t dry out while cooling down. Serve warm, or if you want to serve them later, let them cool down inside the towel and reheat on the pan. It’s perfect Greek food, so easy to make, quite healthy and very tasty. Serve with some Greek salad, and my favourite Greek dips: Tzatziki and Roast Pepper and Spicy Feta dip. Actually, this pita is so yummy that a couple of times last week my dinner consisted of it and these dips. Next time on Round the World in 100 Recipes: It’s a cute animal, but it’s also pretty yummy. 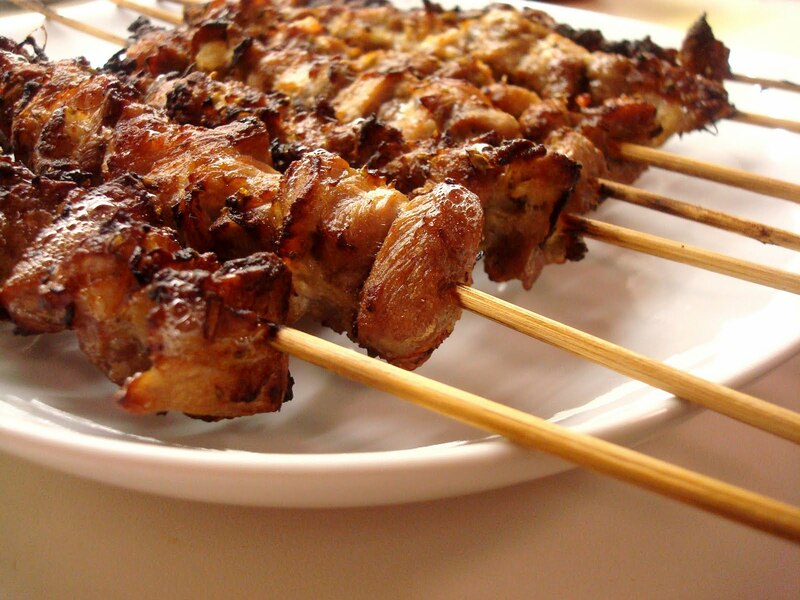 You souvlaki photos are spectacular…I want to jump into the screen and eat them! Glad you liked the Pita bread, I certainly am never buying them again! Thank you Peter, for your comment and for the recipe! That pork looks so good! This looks so good! i am adding it to my “to try” list.